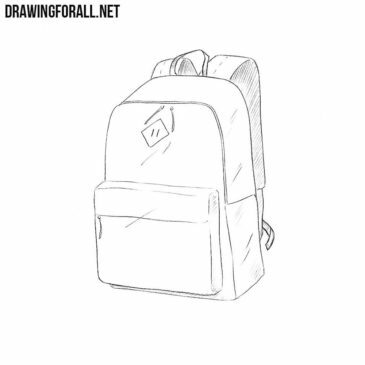 The schoolbag is in fact not much different from the usual backpack, which we already drew in one of the previous lessons. 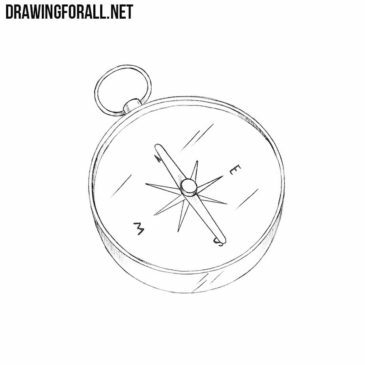 We read in your comments your requests for us to make a simple drawing lesson of a musical instrument. 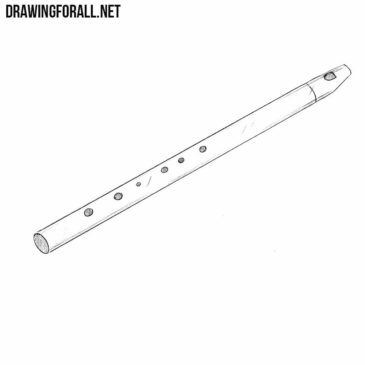 And we make this lesson in which we will tell you how to draw a flute. 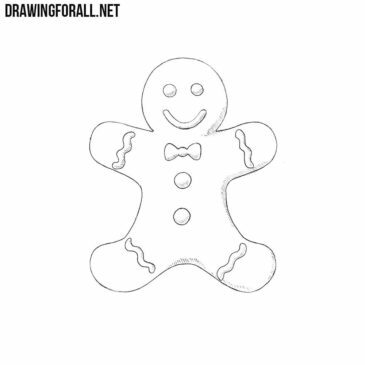 What could be easier than learn how to draw a nut? 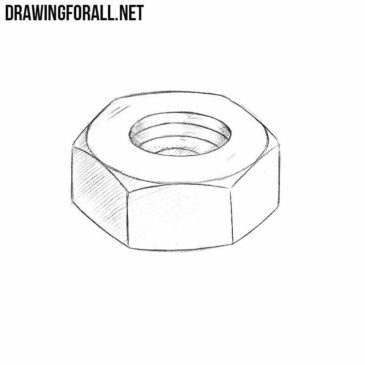 Today we will show you that it is incredibly easy, and at the same time at the end of the lesson you will get a fairly realistic nut drawing. We all probably love sweets, especially delicious cookies, and especially if they are made in the form of little cute people. In ancient times (and some people in our time) people believed that the Earth is flat and generally holds on whales, elephants and turtles. 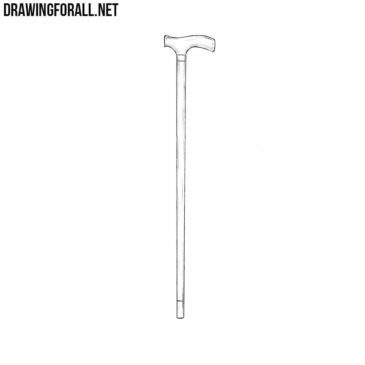 In this lesson we want to show you how to draw a cane. 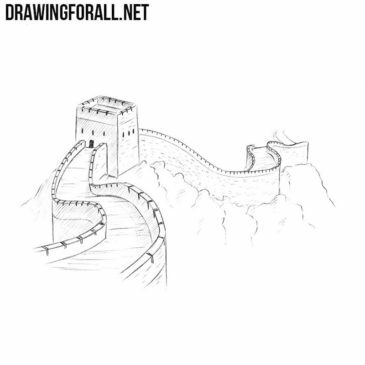 On the request of many of our readers, we made a lesson on how to draw the Great Wall of China. We love sports, and especially boxing. 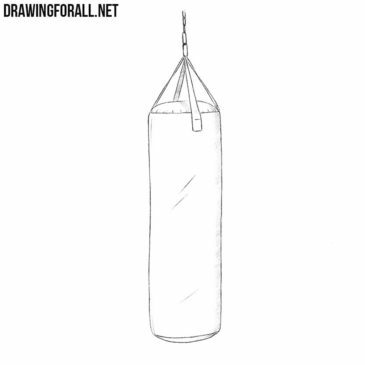 In this article our wants to connect the subjects of sports and drawing and created an article on how to draw a punching bag. 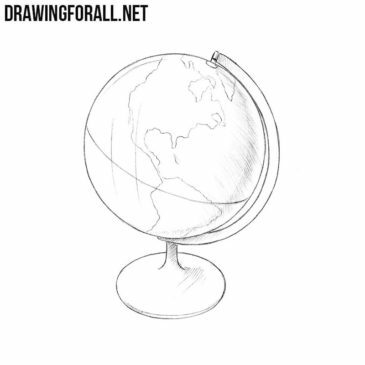 We really decided to compete for the title “creators of the simplest drawing lesson ever”. 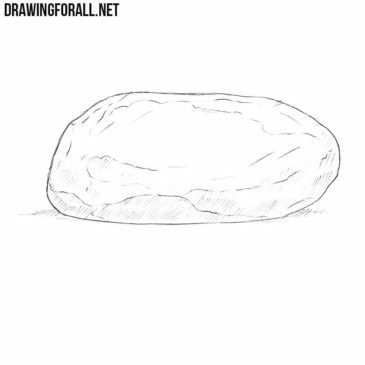 Look at our nomination – we did a drawing lesson about how to draw a stone.